I saw a couple of my concepts are posted on WAR’s official site, so I figure it’s alright to post the same images here. 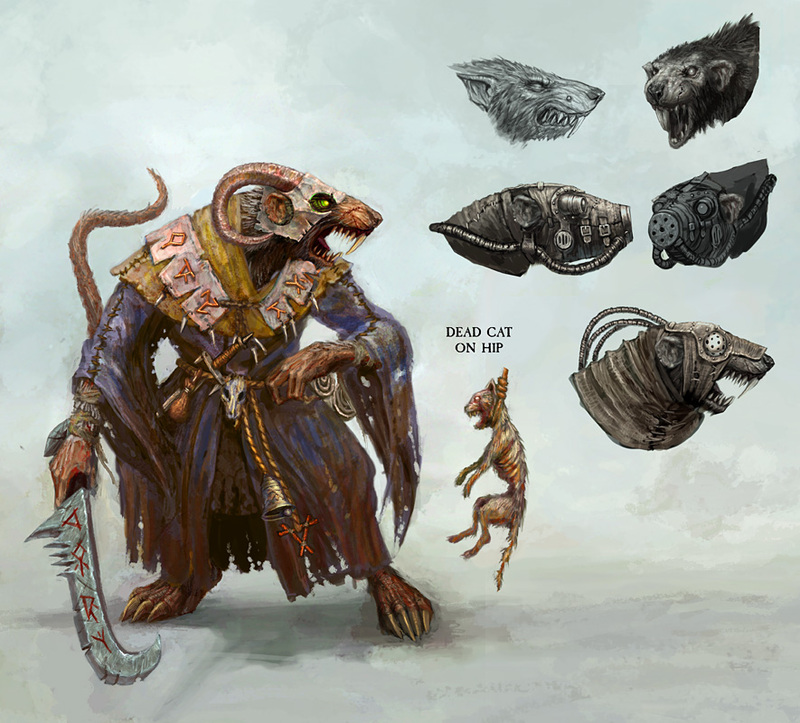 This is a Skaven Grey Seer and a few variant heads that I did. I’ll post some more another time. This entry was posted on August 13, 2006. It was filed under Art, Default.